Grazie Mille's handmade vegetable-based salad dressings are made with the concept of "Eat vegetables with vegetables." 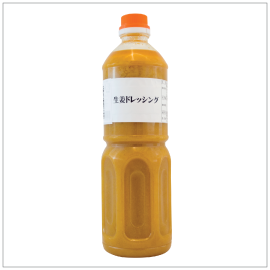 The dressings are made from a blend of locally sourced vegetables from Kochi Prefecture, the company's hometown. Not only a dresser for salads, vegetables, or tofu but versatile condiment for many meat dishes. Use this versatile condiment on salads, steamed vegetables, tofu and meat dishes. 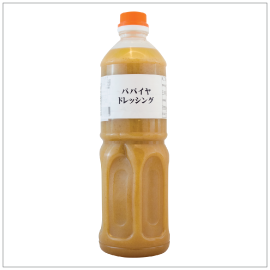 Ingredients: Rapeseed Oil, Soy Sauce (Salt, Wheat, Soybean, Glucose, Wheat Protein, Rice, Alcohol), Distilled Vinegar (Rice, Alcohol, Salt, Sake Lees), Onion, Carrot, Papaya, Sugar, Ginger, Sesame, Garlic. 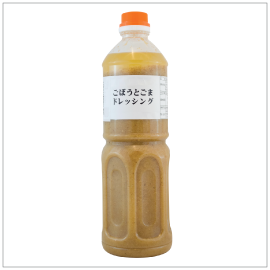 Ingredients: Burdock, Rapeseed Oil, Soy Sauce (Salt, Wheat, Soybean, Glucose, Wheat Protein, Rice, Alcohol), Distilled Vinegar (Rice, Alcohol, Salt, Sake Lees), Onion, Sesame, Sugar, Ethanol, Miso Paste (Rice, Soybean, Salt, Millet Jelly, Ethanol, Vitamin B2). Ingredients: Green Papaya, Rapeseed Oil, Soy Sauce (Salt, Wheat, Soybean, Glucose, Wheat Protein, Rice, Alcohol), Distilled Vinegar (Rice, Alcohol, Salt, Sake Lees), Onion, Sugar, Sesame, Garlic.